IAVA’s Research Department uses real data to drive the development of scalable solutions to benefit veterans and their families. Through careful analysis of IAVA’s annual member survey and continuous surveillance of data about service members, veterans and their families, IAVA’s Research Department informs the development of IAVA advocacy campaigns and programs. 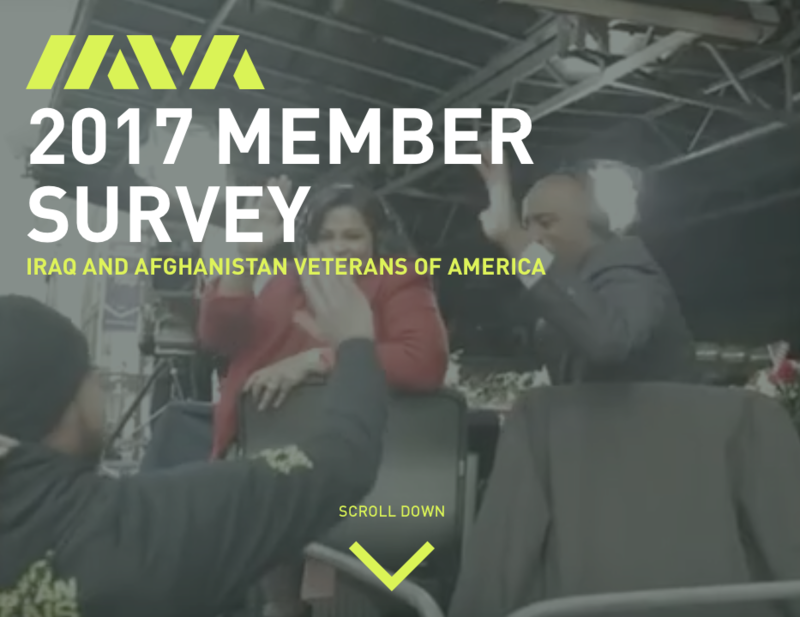 IAVA’s fully interactive 8th Annual Member Survey. Download a printable version online here. 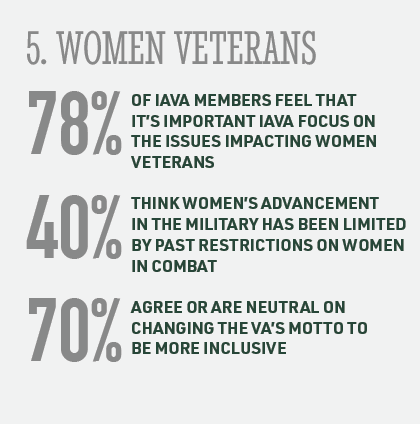 In 2017, IAVA launched our groundbreaking campaign, #SheWhoBorneTheBattle, focused on recognizing the service of women veterans and closing gaps in care provided to them by the VA. We fought hard for top-down culture change in the VA for the more than 345,000 women who have fought in our current wars–and for all Americans. It’s a fight that still continues. It’s known as the Agent Orange of the post-9/11 generation for a reason. Burn pits were a common way to get rid of waste at military sites in Iraq and Afghanistan, particularly between 2001 and 2010. There are other hazards beyond burn pits that occurred in Iraq and Afghanistan that may pose danger for respiratory illnesses, including high levels of fine dust and exposure to other airborne hazards. 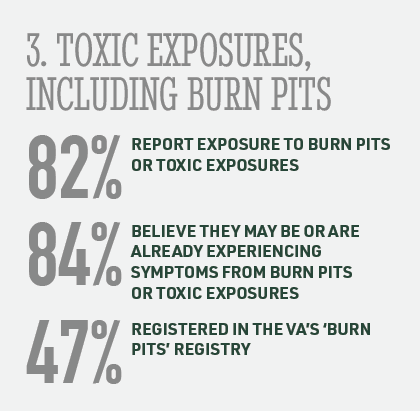 Year after year, we have seen an upward trend in the number of members reporting symptoms associated with burn pit exposure. For nearly a decade, IAVA and the veteran community have called for immediate action by our nation’s leaders to appropriately respond to this crisis of 20 service members and veterans dying every day from suicide. IAVA members are at the forefront of this crisis. 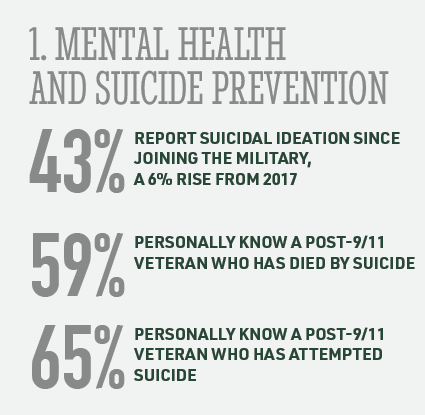 Every year we see a rise in the percent of IAVA members who know a post-9/11 veteran that has died by suicide or attempted suicide. This year is no different. This is a time to redouble our efforts as a nation and answer the call to action. And IAVA will continue to maintain our leadership on that charge. To learn more about IAVA's research, check out our past reports and publications.